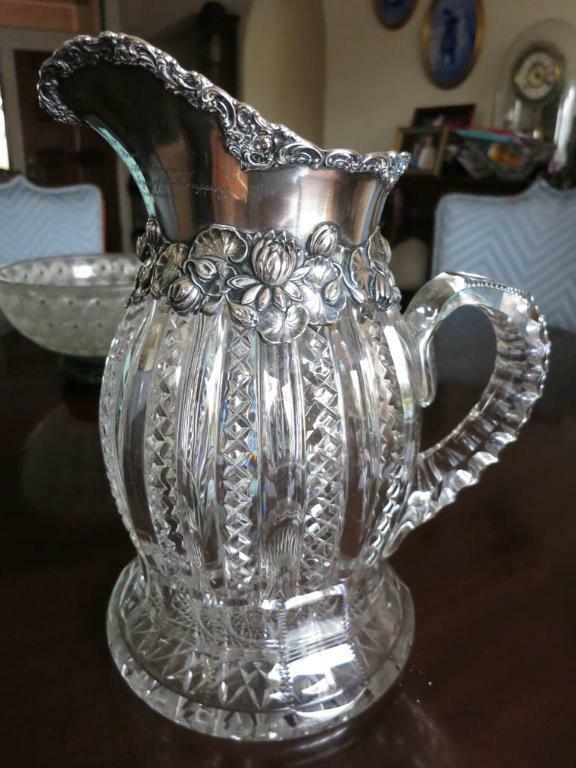 Cut Glass and Sterling Pitcher -- Probably the nicest cut glass pitcher I've every seen! 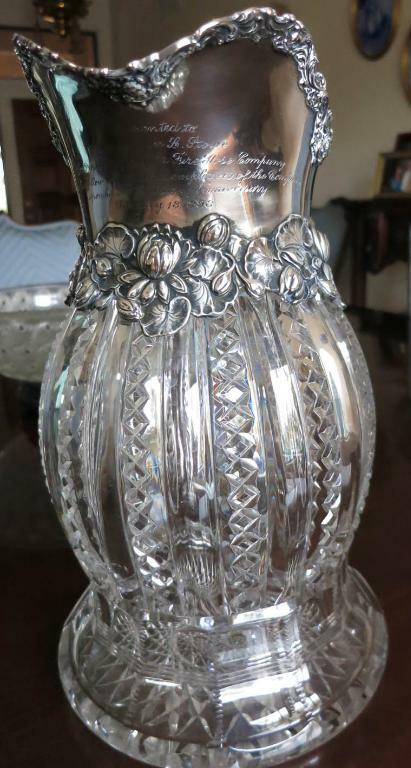 This pitcher, which is unbelievable heavy, has a wide rim that is Gorham sterling with beautiful flowers on it. 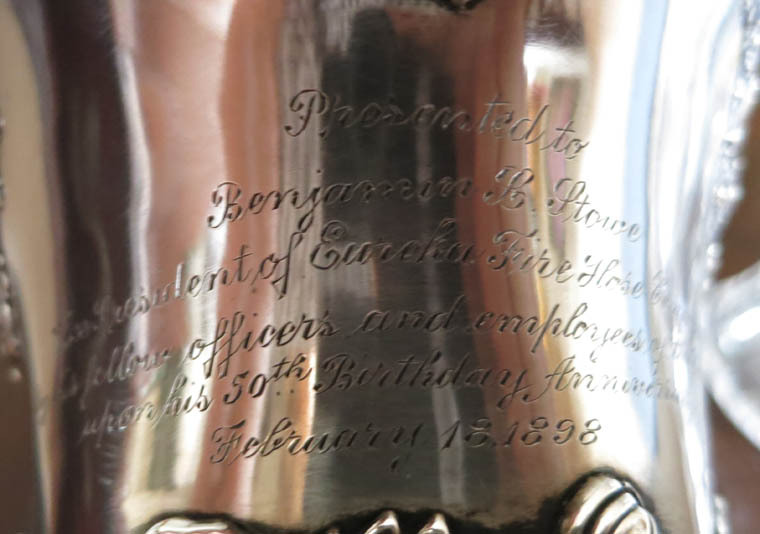 It is engraved "Presented to Benjamin L. Stowe, Vice President of Eureka Fire Hose Company by his fellow officers and employees of the Company upon his 50th birthday anniversary, February 18, 1898. 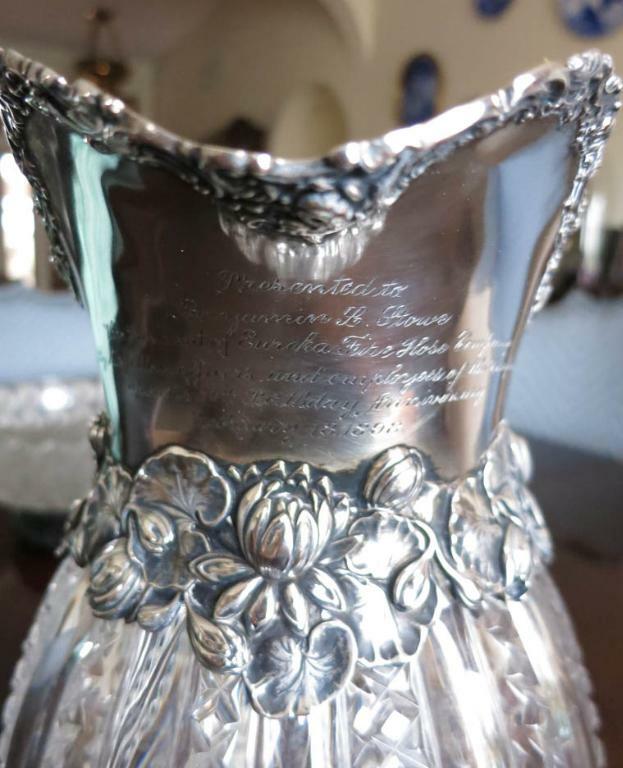 The glass is in perfect condition, with just normal wear on the underside, and the silver, with the Gorham marks is perfect with the exception of some very slight denting on the inside of the collar. 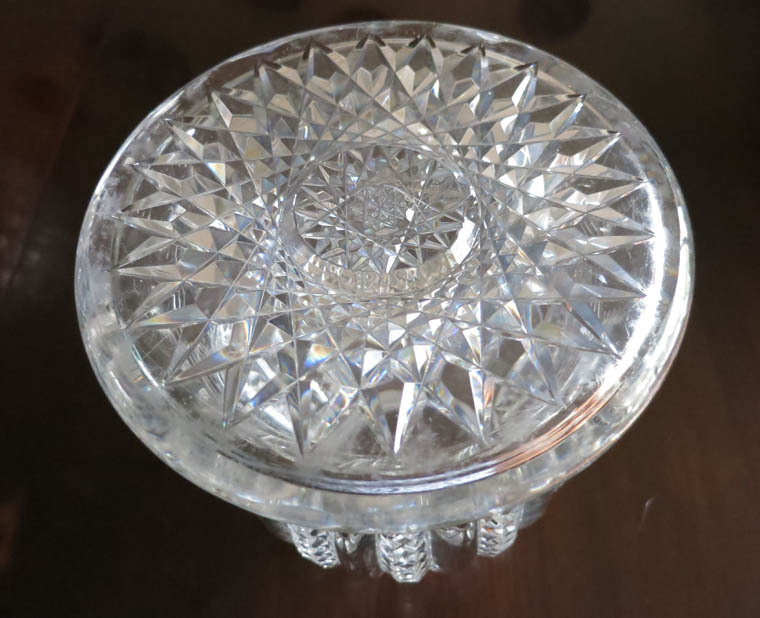 It measures 11 inches tall x 7" diameter at the bottom. 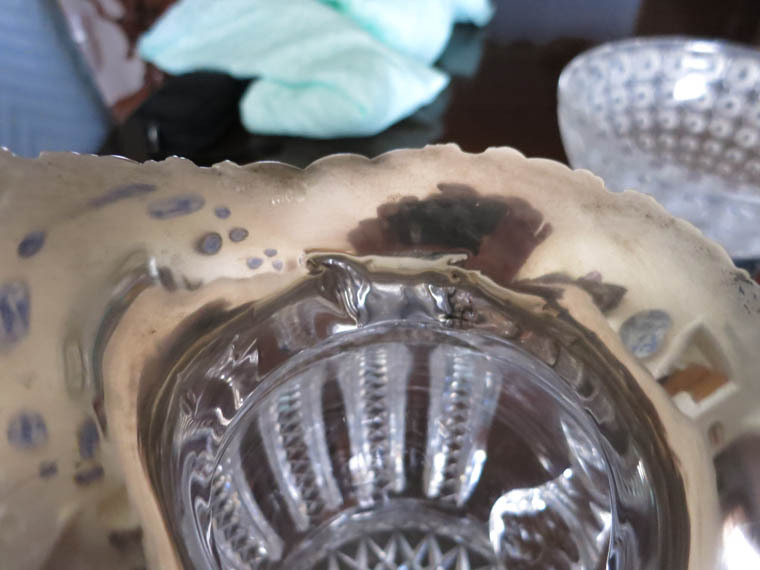 It must weigh close to 10 pounds. 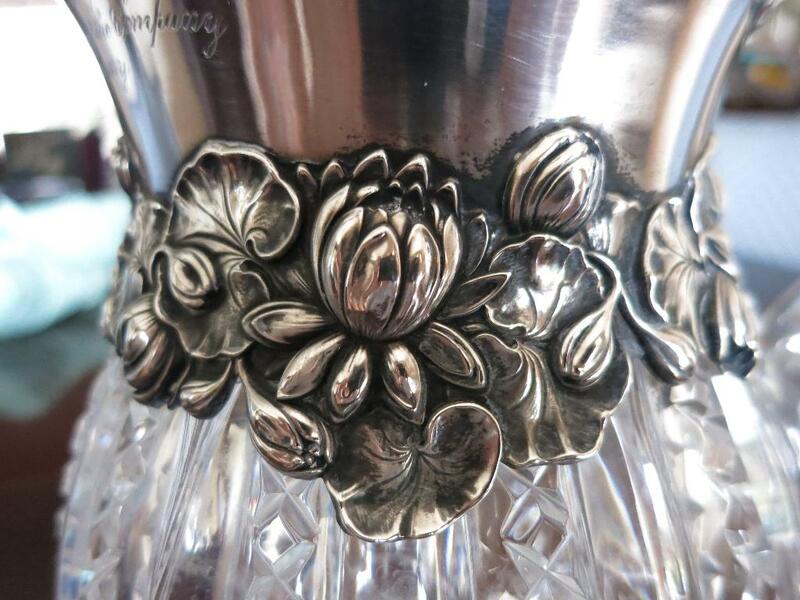 I can't emphasize how absolutely beautiful it is.